March 22, 2018 (Tulsa, Okla.) Led by Co-Chairs Wendy and Gentner Drummond, the 2018 Philbrook Wine Experience is on pace to break the event’s 2016 record-setting revenue record of $3.2 million. 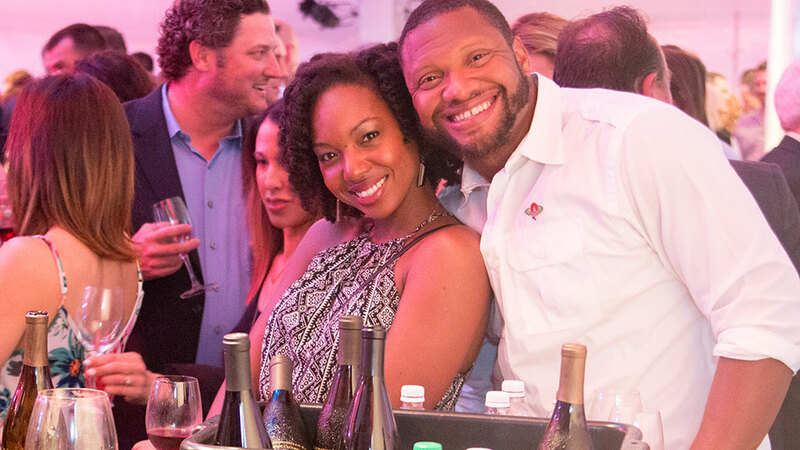 The fundraising weekend features more than 50 top vintners from around the world, including Hirsch Vineyards and Francis Ford Coppola Winery, showcasing their wines to approximately 2,000 guests over three events on April 27-28. All proceeds benefit Philbrook Museum of Art, an 80-year-old, privately funded general art museum nationally known for its compelling and innovative public programs. On Friday, April 27, the Philbrook Grand Wine Tasting offers guests a casual, happy hour/tasting room environment with more than 50 wineries offering tastings of over 200 different wines alongside nearly two dozen regional restaurants sampling their cuisine. Guests enter Philbrook and then move to the main tent on the Philbrook Lawn where they can meet winemakers and winery owners to discuss and discover each vintage. Limited to 1,000 guests, tickets cost $170 for Philbrook Members and $200 for not-yet Members. For Saturday, April 28, the Tent on the Philbrook Lawn transforms into a seated dinner for nearly 400 guests complete with center stage and live auction. 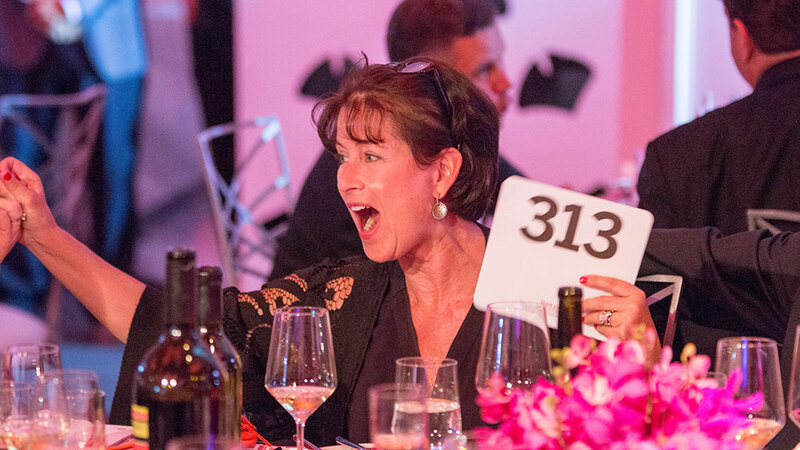 Wendy and Gentner Drummond, the 2018 Wine Experience Chairs, worked for nearly a year to arrange this unforgettable sold-out event culminating in an entertaining live auction led by auctioneer and participating vintner Fritz Hatton (Arietta). Philbrook Wine Experience also features a Trade Tasting and seminar series. Open to members of the wine service or retail businesses, these events offer regional trade the opportunity to learn directly from the winemaker or winery owner of each winery participating. On Friday, April 29, 2 – 4 p.m., the Trade Tasting is free to members of the trade who RSVP in advance. Both Friday and Saturday, the seminar series features a nominal fee and covers a wide range of topics. Participants can attend one or both days. All proceeds from the Wine Experience benefit Philbrook educational programming and Museum operations including programs like Second Saturdays, which offers free admission and activities on the second Saturday of each month and providing free annual memberships to all Oklahoma public school teachers. “I am inspired by the philanthropic community that surrounds Philbrook Wine Experience, from those who purchase tickets to the Friday Grand Wine Tasting, to patrons and sponsors of the Saturday dinner and auction, to international vintners who share their wines,” said Philbrook Director Scott Stulen. “Philbrook provides arts programming to 170,000 visitors annually, and at no cost for more than a third, on a conservative operating budget. The funds contributed through this Wine weekend are critical to making Philbrook a place that welcomes everyone in our community,” Stulen continued. Patrons of Philbrook Wine Experience Weekend include both long-time supporters of the Museum as well as some first-time benefactors. First Crush Patrons: Shelly & Alan Armstrong, Bank of Oklahoma, Billie & Howard Barnett, Krista & Charlie Bendana and Donna & Eric Swank, Blue Cross and Blue Shield of Oklahoma, Mary & Jim Bush, Cinda & Mark Marra and Pam & Terry Carter, Pat Chernicky & Greg Holt, Patty & Joe Cappy, Karen & Carlin Conner – SemGroup Corporation, Mollie & J.W. Craft, Barbara & Arlo Dekraai, Wendy & Gentner Drummond, Gayle & Frank Eby, Pam & Lee Eslicker, Robyn & Larry Ewing, Jean & Randy Foutch, Helmerich Foundation, Barbara & Steve Heyman, Holliman Family Foundation, Bonnie Klein, Teresa Knox & Ivan Acosta, Beth & Ben Latham, Marilyn & Larry Lee – Ram Energy LLC, Ellen & Carlisle Mabrey III and Terry & John Mabrey – Mabrey Bank, Matrix Service Company, Julie & John Nickel, Cindy & Bob Peterson, Leigh & John Reaves – Asphalt and Fuel Supply, Charles & Peggy Stephenson Family Foundation, Jill & Robert Thomas, Susan & Bill Thomas, Vanessa & Scott Thompson, Kayla & Scott Vaughn, Susie & Don Wellendorf, Mollie Williford, John Steele Zink Foundation, Debbie Zinke, Robert Zinke Jeroboam Patrons: Jack Allen, Jr., Ann & Mark Farrow, Suzanne and Jim Kneale Family Foundation, Julie & Sanjay Meshri, Frauke & Oscar Quiroga, Cheryl Ulmer & Greg Ratliff Magnum Double Patrons: Tom Adelson, Stefanie & Tom Atherton, Joan & Tom Atkinson, The Bama Companies, Inc., Cox Communications, Berry & Regina Mullenix, Ryan Tanner & Jay Krottinger, Debra & Daron Street, Georgeanna & Roger Thomas, T.D. Williamson, Inc. 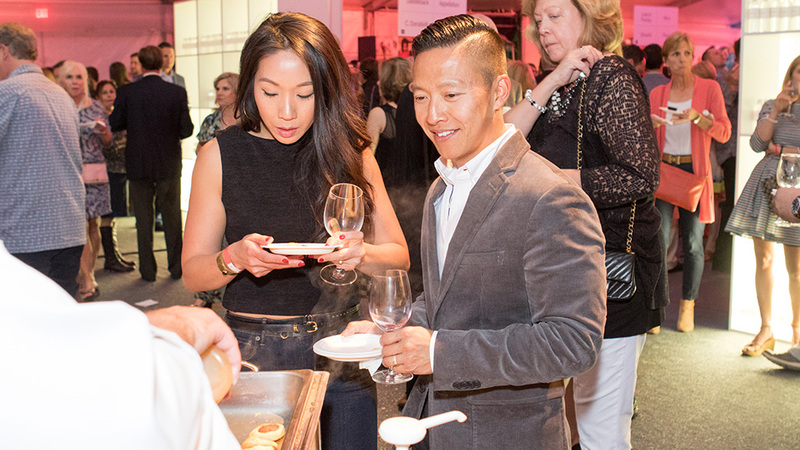 In addition to the philanthropists who attend the Wine Experience events, other donors, such as The Mary K. Chapman Foundation, The Fulton and Susie Collins Foundation, Susie and Dave Hentschel, George Kaiser Family Foundation, Ruth Nelson and Thomas Murphy, and Susan & Bill Thomas contribute solely to the Creative Opportunity Fund, which directly supports educational programming. The Philbrook Wine Experience began in 1992 with a modest wine dinner among friends of the Museum. In 2016 the weekend raised over $3.2 million for Philbrook making it Oklahoma’s largest fundraising event and one of the top charity wine events in the nation. A privately funded Museum, Philbrook relies on this biennial event to raise critical funds. For additional information on the Wine Experience, visit Philbrook.org/wine.